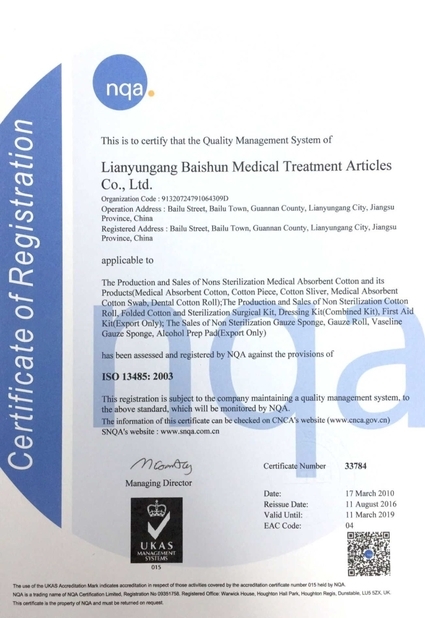 We, Baishun Medical, are manufacturer of absorbent cotton and gauze products with over 30years history. Absorbent cotton and gauze with 100% material are all our basic products, cotton roll, zigzag cotton, cotton ball, dental cotton, cotton coil, cotton pad and gaue roll, guaze swab, lap sponge, gauze zigzag, gauze bandage, and meanwhile we can develop new products for our customer following their special requirement, and trade other products in this industry. 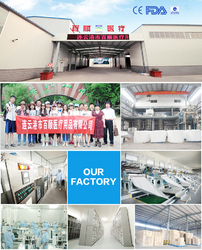 Until now, we have over 300 employees for 3 factories, one is mainly produces cotton wool products located in Jingsu province, another is gauze products and located in Hubei province, we built a new factory in 2017 mainly produces cotton pad and cosmetic products. Quality is our principle, quality is the most important thing during the whole process. 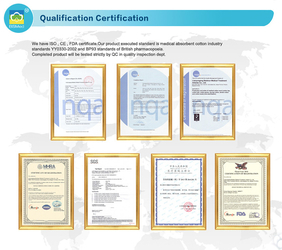 All of our products meet BP standard, and own CE, ISO and FDA certificates. Depending on our high quality and competitive prices, our products are exporting to America, Eastern Europe, Middle East, Africa, South America and so on. 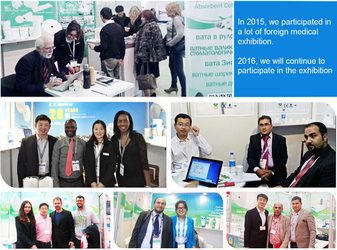 In order to promote our factory and our products, we attend exhibitions of Medica, Arab Health, Hospitalar, Africa Health and so on. Hope we have chance to meet you at our booth in the fulture. 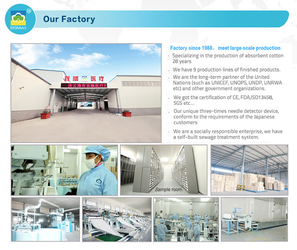 Our company is not only the old enterprises with more than 30 years history, but also a vibrant new team. In the process of development, we never forget the social responsibility. 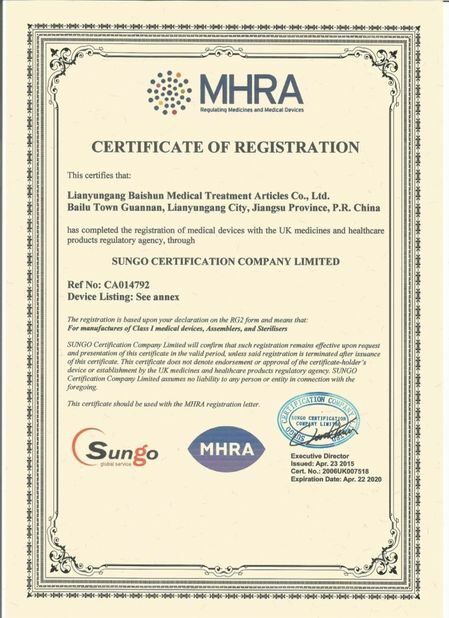 So as early as 2009, we spend more than 4 million yuan to build the largest wastewater treatment engineering in the field, and passed the environmental protection department's acceptance inspection about municipal sewage in April 30, 2010. Our main export market is North America,South America,Europe,Australia,Africa,etc. We can print our customers' brand on the package. We are always here waiting for serving for our customers!